In the bad old days of the cold war, western political and journalistic institutions practised an arcane pseudoscience called Kremlinology. Its goal was to try to infer what was going on in the collective mind of the Soviet Politburo. Its method was obsessively to note everything that could be publicly observed of the activities of this secretive cabal – who was sitting next to whom at the podium; which foreign visitors were granted an audience with which high official; who was in the receiving line for a visiting head of state; what editorials in Pravda (the official Communist party newspaper) might mean; and so on. b. FB joins Google and ALL OTHER WEB ADVERTISERS in keeping PII private, never letting it out, and anonymously connecting advertisers with its users for their mutual benefit. I don’t get a vote, but I like (b) and see that as the right path for civil society. There is no way that choice (a) is not a loathsome and destructive force in all things—in my personal opinion it seems that making people’s pillow-talk into a marketing weapon is indeed a form of evil. This is why I never use Facebook; I know how the sausage is made. In a modest way, Kosinski, Stillwell and Graepel are the contemporary equivalents of [Leo] Szilard and the theoretical physicists of the 1930s who were trying to understand subatomic behaviour. But whereas the physicists’ ideas revealed a way to blow up the planet, the Cambridge researchers had inadvertently discovered a way to blow up democracy. Which makes one wonder about the programmers – or software engineers, to give them their posh title – who write the manipulative algorithms that determine what Facebook users see in their news feeds, or the “autocomplete” suggestions that Google searchers see as they begin to type, not to mention the extremist videos that are “recommended” after you’ve watched something on YouTube. At least the engineers who built the first atomic bombs were racing against the terrible possibility that Hitler would get there before them. But for what are the software wizards at Facebook or Google working 70-hour weeks? Do they genuinely believe they are making the world a better place? And does the hypocrisy of the business model of their employers bother them at all? The motto “don’t be evil” has always seemed to me to be a daft mantra for a public company, but for years that was the flag under which Google sailed. It was a heading in the letter that the two founders wrote to the US Securities and Exchange Commission prior to the company’s flotation on the Nasdaq stock market in 2004. 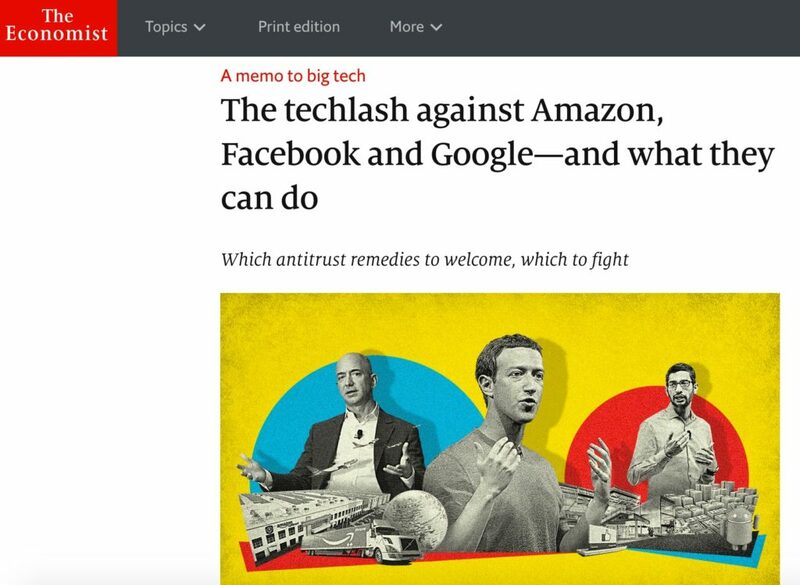 “We believe strongly,” Sergey Brin and Larry Page declared, “that in the long term, we will be better served – as shareholders and in all other ways – by a company that does good things for the world even if we forgo some short-term gains. This is an important aspect of our culture and is broadly shared within the company.” Two years ago, when Google morphed into Alphabet – its new parent company – the motto changed. Instead of “don’t be evil” it became “do the right thing”. Heartwarming, eh? But still a strange motto for a public corporation. I mean to say, what’s “right” in this context? And who decides? Since Google/Alphabet does not get into specifics, let me help them out. The “right thing” is “whatever maximises shareholder value”, because in our crazy neoliberal world that’s what public corporations do. In fact, I suspect that if Google decided that doing the right thing might have an adverse impact on the aforementioned value, then its directors would be sued by activist shareholders for dereliction of their fiduciary duty.